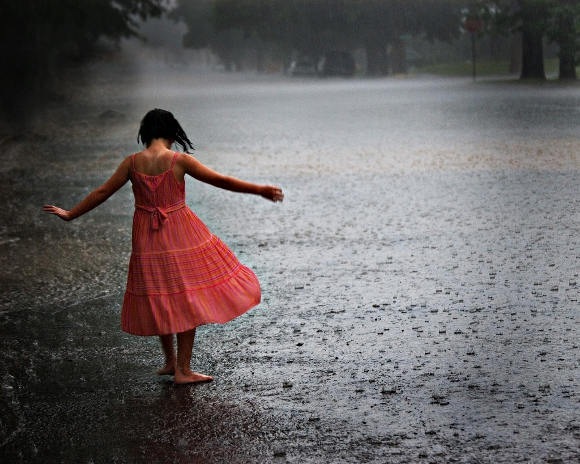 Rains play havoc on your skin and hair! 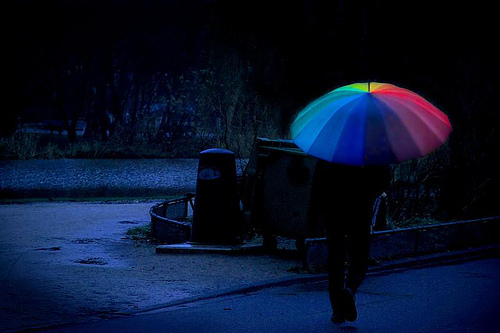 The onset of the monsoon is a welcome relief from the sweltering heat. Monsoons are good for our crops and we enjoy the fresh breezes and wet fun in the rains! But the, every silver lining has a cloud attached! This season takes a toll on your skin and hair. Greasy skin, acne and hair fall are just some of the issues. During the rains the skin behaves differently and attracts more grime and dust than usual. Take some time off to exfoliate the face, body and feet. Here are some holistic solutions to your woes. Hydrate: It is easy for the skin to get dehydrated during monsoons, so use a toner that will provide effective hydration. Use it every morning and evening for maximum effect, to maintain the natural pH balance of your skin. You need to be extra careful about cleansing your skin without stripping it of its natural moisture. Use a cleansing agent which is gentle and yet strong enough to remove all dirt. Eat & Drink Healthy: Remember to nourish your skin from the inside too – eat salads blanched in boiling water to disinfect them, vegetable soup which will keep you warm and healthy and drink the usual 8-10 glasses of water. Your skin is always thirstier than you are! Wash and clean your face daily and religiously with a gentle cleansing milk which is rich in antioxidants and also helps remove impurities and dirt from your pores. Use a face mask at least once a week depending on your skin type. Face masks help soothe the skin, get rid of inflammation issues and breakouts. Exfoliate your face with a refining polish using gentle circular movements. For optimum results, concentrate on problem areas such as dry or congested skin. Face refreshers provide an ultra relaxing and fresh clean up of the face for both men and women. 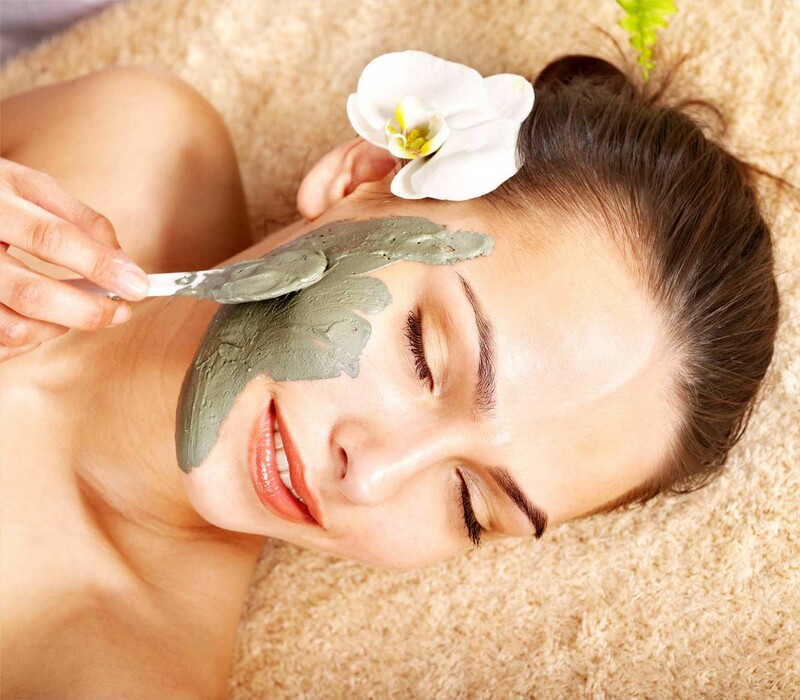 They whisk away all the layers of dead skin that pile up during the sticky monsoon weather with the gentle but effective exfoliating scrub, toner and masks, which also have mild antiseptic properties. Rinse. Pat dry and use a serum/oil on your face and allow to absorb. Use a face mask all over face and neck and finish with your preferred moisturiser. Use a facial mist that soothes, moisturises and relaxes your face. They contain sunscreen, minerals, antioxidants or other ingredients that nourish and protect skin. The biggest problem that your skin faces is combating acne due to open pores and high humidity. The solution? Good old Indian neem. Most international beauty products now come with neem extracts because it has good anti-bacterial and anti-inflammatory properties. Look for skincare products that have neem as an ingredient, or simply make a paste out of fresh neem leaves and apply it to your face. Or you can even have a shot of neem juice in the morning. Don’t avoid sunscreen lotions at all during the rainy season. As long as there is daylight, our skin needs protection from UVA and UVB ray. 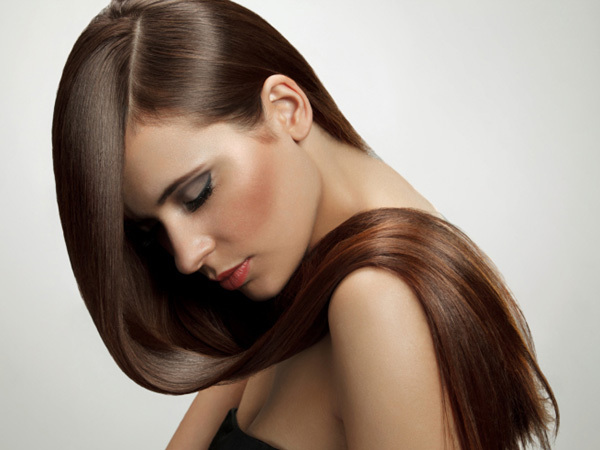 Don’t use too much of hair products and use only a mild shampoo and gentle conditioner for the hair. The weather can make the hair dull, flat and tangled. Use hair serum the previous night and massage into scalp as well as the shaft. The next day wash hair with a mild shampoo and apply a hair mask in the shower and steam. Rinse. In the meantime, use a body polish and exfoliate the entire body concentrating on dry areas. At home spa ritual: It’s extremely important to keep the massage clean and dry and it is imperative that one uses chemical-free organic products. A weekly foot massage is good. Our feet bear the brunt of the season. Go for regular pedicures. Begin with a mint and lemon grass foot scrub followed by a pure aroma oil massage that provides a protective layer from germs and infections. The stimulation of blood and lymphatic fluid circulation keeps the feet and body healthier. So although the sky may carry a gloomy cast, you can brush off your skin woes, with a guarantee of beautiful, glowing skin and toss your healthy hair at the lowering skies! Just sit back and enjoy the season! Categories: Natural Mantra | Tags: conditioner, face, feet, hair, harmful, healthy, humidity, monsoon, natural, Natural Mantra, oil, oily, Organic, protect, rain, safe, scrub, serum, skin, sunscreen | Permalink. How are you? Apologies for the late reply. We would love you to contribute to our blog about helping build a healthy and sustainable environment! You can write on how being organic can contribute to the environment and then you can integrate your topic (on environmentally responsible tourism) with the same.